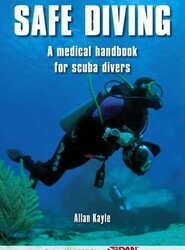 Focuses on basic medical fitness to dive. This book covers the full spectrum of conditions and ailments that affect divers, from the cardiovascular, pulmonary and neurological requirements for diving to breathing mixtures, inhaled gas contamination, heatstroke, and hyperthermia. It is suitable for scuba divers, rescue divers, and dive instructors.